Lauran is a Lecturer in the Institute of Education, teaching mainly on the Special and Inclusive Education pathway of the Joint Honours in Education undergraduate programme. Lauran is module leader for two Year Two modules (Disability Issues and Inclusive Strategies), teaching extensively across these courses with responsibility for their management and development. 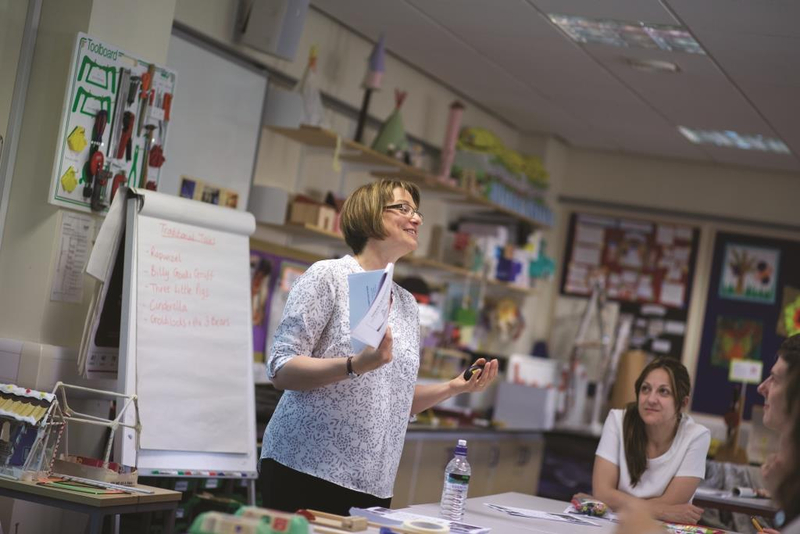 She also teaches on the Year One module Introduction to Special Educational Needs and the Year Two module Research Methods in Education, in addition to supervising undergraduate dissertations. Before joining NTU in 2018, Lauran was an Associate Lecturer at Sheffield Hallam University where she taught across a range of modules in disability, autism, education and childhood studies. She was formerly a classroom teacher for nine years and a Governor in a special school. Lauran's doctoral research was a video-ethnography of how minimally verbal children with autism communicate in everyday classroom situations with staff and peers. This involved detailed multimodal analysis of video stills to illustrate how formally taught communication strategies such as Makaton and symbol cards are used alongside idiosyncratic embodied action such as eye gaze behaviour, posture, proxemics, vocalisation and facial expression. Her research interests include autism, learning disability, communication, agency, self-advocacy, and Augmentative & Alternative Communication (AAC). She is also interested in qualitative research methods including multimodal analysis, conversation analysis, and ethnography. Doak, L. (2018). But I’d rather have raisins! Exploring a hybridized approach to multimodal interaction in the case of a minimally verbal child with autism. Qualitative Research, 1468794117752115. Doak, J., & Doak, L. (2017). Non-verbal victims in the adversarial criminal process: communication, competency, and credibility. Northern Ireland Legal Quarterly, 68(4), 451-468. Doak, L. (2015). Disability, augmentative communication and the American Dream: a Qualitative Enquiry. Disability & Society, 30(6), 1-3. Doak, J. and Doak, L. (2017) ‘Non-Verbal Victims in the Adversarial Process: Alternatives to Oral Evidence’. Advancing Advocacy Conference, Nottingham Law School, 23 June 2017. Doak, L. (2015) 'The Everyday Communication Strategies of Children with Autism: A Multimodal Interactional Analysis'. Faculty of Development & Society Research Conference, Sheffield Hallam University, 14 September 2015. Doak, L. (2015) ‘What does ‘literacy’ mean for students with Severe Learning Difficulties?’ 51st International Conference of the UK Literacy Association, Nottingham, 10 July 2015. Doak, L. (2015) ‘Multimodality in the field of Augmentative & Alternative Communication (AAC): Fertile but Uncharted Territory?’ Multimodality: Methodological Explorations, MODE, Institute of Education, London, 15-16 January 2015. Doak, L. (2014) ‘Multimodal analysis and video ethnography: a promising combination for reaching preverbal participants with autism?’ Inequality in Education - Innovation in Methods, University of Warwick, 12 November 2014. Doak, L. (2014) 'Augmentative & Alternative Communication: is there a 'best fit' model of disability?' Disability Research Forum, Sheffield Hallam University, 22 October 2014.